Have you been craving old-school games? Are you dreaming of side-scrolling shoot-'em-ups from the 1990s? Yearning for the point-and-click adventure games from Lucasarts' and Sierra's creative golden ages? Longing for Dungeon Master's slick two-step dance? Or maybe you desire the rich, unfiltered flavor of vintage Diablo. Every gamer has a lost love. You can't keep a good game down, though: Such classics live on in the surprisingly vast world of free and free-to-play games. A major aspect of the burgeoning indie-development and alternate-distribution movement is the appearance of high-quality no-cost titles. Bucking the current trend among expensive, big-name games, these indie projects embrace old play styles and bring them into the present with modern graphics, updated mechanics, and extras that enhance the experience without destroying the things you loved about the classics in the first place. Shoot-'em-up games reigned supreme in ages past; the Atari-Amiga-Sega epoch in particular produced near-perfect examples of the genre. These simple-to-understand but often fiendishly difficult "bullet hell" games faded from the computer scene in the early '90s, living on in console and handheld-device remakes. After a long absence, however, they have begun to return to the PC, as smaller developers and coding enthusiasts, drawn by the relatively modest programming and asset requirements, take another crack at them. 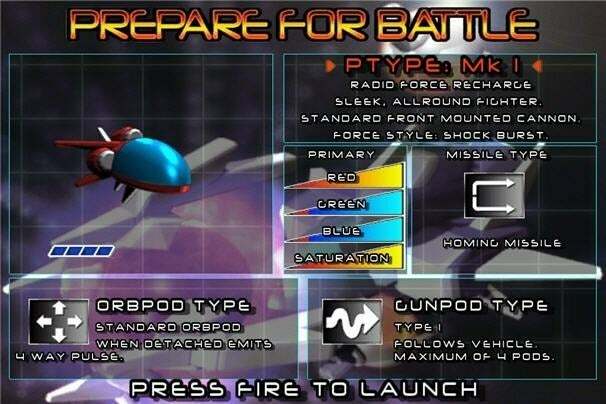 One great new title is Prototype II, which skillfully replicates the feel of R-Type and other classic side-scrollers. The visuals are polished, with smooth animation and colorful, crisply rendered sprites. Traditional strategies—building up a primary-weapon charge to unleash high-powered attacks, using your probes as shields—remain relevant, but new weapons and environments add much-needed diversity to the formula. The only missing features are the kinds of things you may not remember so fondly, such as the original's needlessly punishing early levels and its low-powered, variety-bereft weapon upgrades. Meanwhile, Echoes takes the Asteroids formula and amplifies it with progressive power-ups, subwoofer-happy bass tracks, and trippy motion-blurred graphics. The effect resembles a minimalist, club-hopping version of Super Stardust. More important, Echoes replaces the original's sloppy, gravity-oriented control scheme with an addictive and precise two-stick controller method that's easy to pick up and repeatedly draws you back to make the trick shots and keep the windows rattling. The disappearance of isometric action titles and tactical games is another head-scratcher. Titles such as Commandos, Diablo, Fallout (1 and 2), and Jagged Alliance remain triumphs of computer game design, yet modern developers have ruthlessly weeded out the very gameplay aspects that gave these games so much character. For example, the legendary X-Com: UFO Defense (aka UFO: Enemy Unknown) begat multiple infamous sequels that insisted on fundamentally changing its turn-based, tactical-gameplay formula. Frustrated aficionados of the original two X-Com games began a multiyear project that resulted in the most faithful remake to date, UFO: Alien Invasion. Much of the original goodness is intact, encompassing a turn-based combat system, globe-spanning base-construction intricacies, detailed research trees, and a budget that manages it all. The latest version, 2.4, offers new maps, new models, better visual effects, and greater control over the environments in skirmish mode, upping the content quotient significantly. The spiritual successor to Team 17's Alien Breed: Tower Assault and the underground-classic Alien Shooter series, Valve's Alien Swarm is perhaps the most polished, professionally presented game of the bunch. The project began life as a mod for Unreal Tournament 2004, and has grown over the years to become a distinct, stand-alone entity. Clearing wave after wave of enemy attackers offers immediate thrills yet demands careful planning as you expend resources such as ammo reloads, flares, and medikits strategically across the beautifully rendered 3D levels. Point-and-click adventures, such as Maniac Mansion and the King's Quest series, were the AAA titles of their day, surpassing other genres in craft, writing, and, quite often, budget. The emergence of 3D engines and the action games they heavily favored shifted the emphasis away from more thoughtful, story-driven titles, shortening development cycles and pushing up profits but leaving these classics behind. One look at Kickstarter, however, and it's easy to see that nowadays point-and-click is one area where developers and fans are stepping up. AGD Interactive has made the revival of such games its main goal: The concept is written directly into the company's mission statement. The team has embarked on a series of enhanced remakes of Sierra's most beloved titles, and so far it has released four games: the first three King's Quest adventures and, the best of the lot, Quest for Glory II. What sets Quest for Glory II apart from its better-known brethren is its inclusion of role-playing elements and some combat. On top of that, AGD's releases aren't just simple emulations, as the company has upscaled the graphics for improved results on modern, high-resolution monitors. AGD has added new areas to explore and new puzzles to solve, too. For lovers of the adventure genre, these titles are a dream come true. On the opposite end of the spectrum are the ever-lovable Sam and Max, who burst onto the computer scene in 1993 with LucasArts' Sam & Max Hit the Road, one of the last great adventure games of the genre's golden age. These wisecracking, campy characters stole gamers' hearts, and then promptly vanished back to the world of graphic novels. Finally, ten years later the folks at Telltale Games realized the potential, and the Freelance Police were reborn in brand-new episodic adventures that cover three seasons and over a dozen games. Although most of the titles cost a nominal fee, Season 1's Episode 4, "Abe Lincoln Must Die," is completely free for download. Unlike AGD's retro-look revivals, these new games use a 3D engine and cartoon-style shading to bring the fun of classic adventure gaming into the modern day, while retaining the kooky characters and witty writing that gamers love. Mouselook-style 3D engines breathed new life into action games in the mid-1990s, but not all genres embraced such mechanics. Prior to the rise of such engines, even real-time games got along fine without turning the player into a turret on roller skates. Role-playing games in particular had alternative controls down to a fine art, with Dungeon Master and its ilk forcing players into frantic, pitched fights every bit as knuckle-whitening as Quake matches would be ten years later. Featuring a first-person view but 90-degree stepped movement, RPGs in the Dungeon Master mold employed combat based on timing and cool-down management rather than gunsight accuracy. Carrying the flickering torch for the genre all these years, Dungeon Master Java re-creates the original game and sequel. In addition, thanks to the included editor and easy asset management, making your own dungeons is an entertaining pastime, rather than a nostalgic endurance trial. And newer user art packs do a creditable job of keeping the game's graphics palatable for modern gamers. So which lost love do you still pine for? Don't worry, you don't have to suffer from a broken heart any longer. Some classic games might not have enjoyed the legacy they deserved, but they never really died out. Considering the price of each of these remakes and homages, you might just fall in love all over again.